Placenta has been used in human remedies for centuries, and now modern mothers are reaping the benefits for postpartum healing. Placenta contains hormones, iron, protein, and many other nutrients which are vital to the health of postpartum mothers and may help ease the transition into new parenthood. As the industry leaders in safe and responsible placenta consumption, we have helped countless families in Kansas enjoy a smoother postpartum period. having a doula in the home during the process! You only get one placenta, so make it count! While there are few conclusive studies (yet!) proving the benefits of placenta encapsulation, we know that many parents are still interested in trying it, and feel that our many satisfied clients speak volumes. 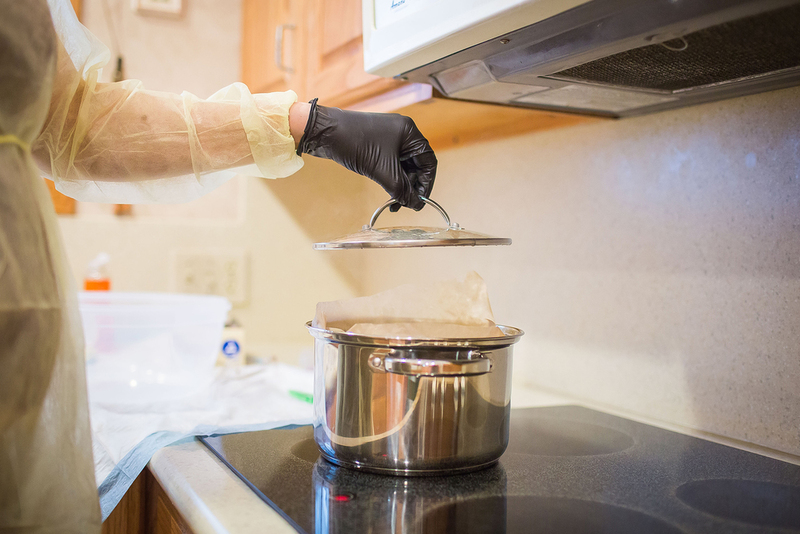 If you are choosing to try placenta encapsulation, it must be performed by a trained and certified practitioner with a board-approved safety and sanitation protocol. 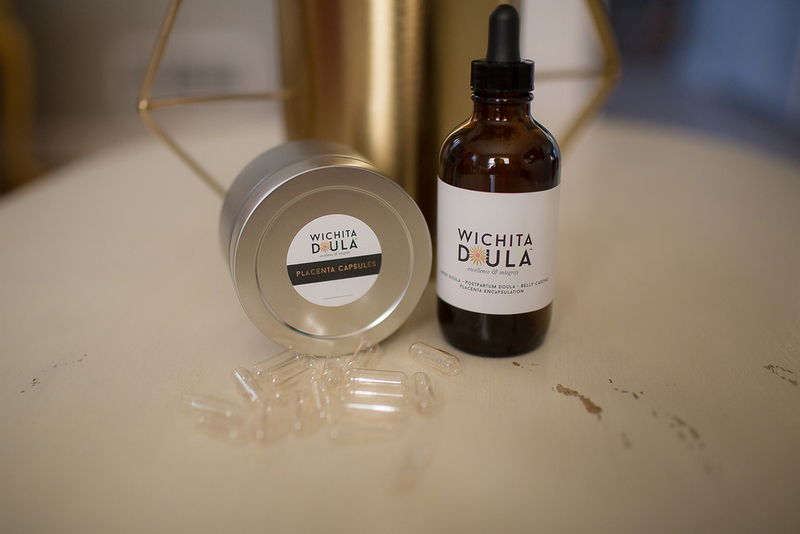 Wichita Doula is proud to be the home of the only placenta encapsulator in Wichita trained and certified by the Association of Placenta Preparation Arts, which means you can trust that your placenta capsules, tinctures, or prints are made with the highest possible level of safety, sanitation, professionalism, and transparency. Preparing your placenta for consumption is a delicate process that should be handled by a trained professional and subject to the most rigorous oversight! Our specialist is APPA-certified, Bloodborne Pathogens Prevention Certified, and carries a current Food Handler's Certificate from the City of Wichita. This potent extract lets you experience the benefits of placenta ingestion long after your capsules have run out. Your placenta specialist can make you a tincture during your encapsulation without significantly reducing the amount of capsules. Placenta prints are a great way to preserve the beauty of the placenta in art form. Each print is made on high quality artist paper to create a memorable keepsake. Since toxic dyes and paints are not used, a print can be made during your encapsulation. We make it easy for you to get your placenta professionally encapsulated! Call or email us so we can discuss your needs, and we will email you our beautiful welcome packet along with information and instructions for payment and placenta storage guidelines according to your chosen birthing location. 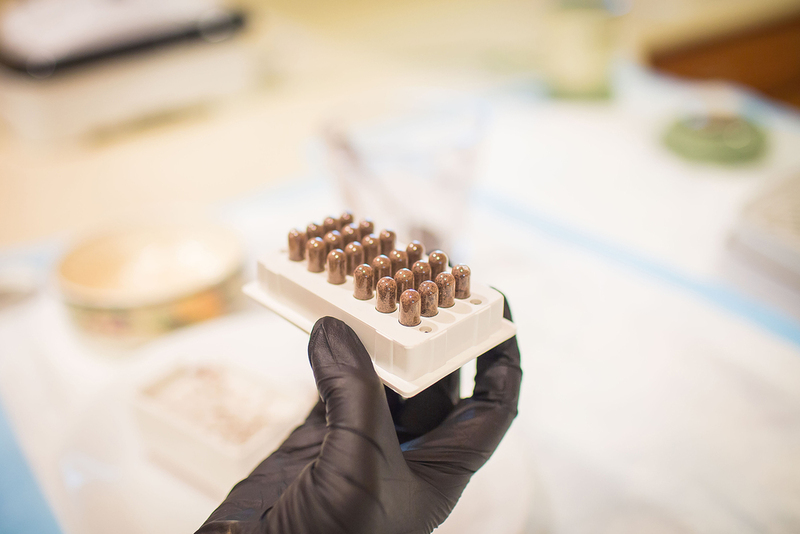 The process of placenta encapsulation takes two hours on Day 1, and two hours on Day 2. You will receive your capsules and optional extras beautifully presented with full usage instructions on Day 2 of the process. You will be delighted with the knowledge, helpfulness, and cleanliness of your placenta encapsulation specialist! Invest in an easier recovery from birth with the safest placenta encapsulation service in Wichita. Starting at $299. The benefits of ingesting placenta have not been evaluated by the FDA. Placenta should only be ingested by the mother who birthed it. Ingestion of placenta capsules is not guaranteed to produce a desired result. Wichita Doula is not a licensed medical professional and cannot provide any diagnosis or treatments.